The writer life is weird and wonderful. One week there could be a series of events converging at the same time and you try believing in your incredible luck and the next…a silence so quiet that you wonder if you’re any good and why you’re bothering to do it in the first place. This week was a lucky week. A grateful week. A week where I’m doing my best to celebrate success, without feeling guilty and also being comfortable with being out in the world. TUESDAY: I talked about this and my path to publication on Cynthia Leitich Smith’s most excellent blog, Cynsations. It was the first time I wrote about the experience writing and working on MAUD and it was fun to share pictures of the process. WEDNESDAY: With the various Anne of Green Gables adaptations releasing, there is a growing interest in the difference between the movies and the source material. So I wrote this short history of the adaptations, highlighting what Montgomery had said about the early ones and thoughts on what comes next. WEDNESDAY/THURSDAY: A successful RT to Win Campaign: As you know, this week was L.M. Montgomery’s birthday and so I had planned a RT to Win MAUD ARC on Wednesday. I hadn’t done something like that in a long time and it was thrilled (if not also a bit overwhelmed) by how excited people are about it. I had announced the winner on Thursday and in the complete random number generator kind of way of the universe, an author who shares a book birthday with me, Katie Bayerl (A Psalm for a Lost Girl) won. FRIDAY: My first short story was published!! 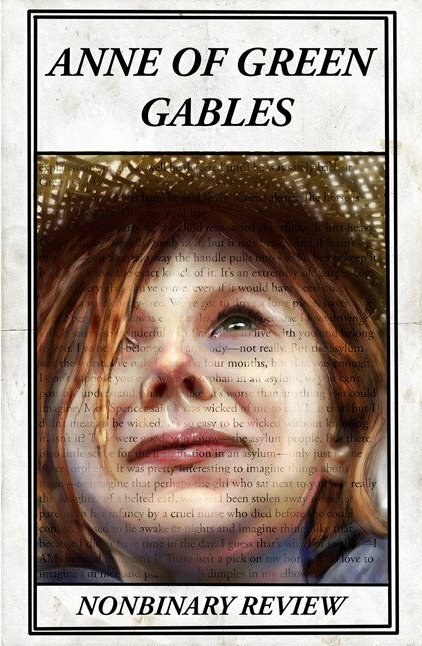 Zoetic Press had a call for submissions for their NonBinary Review issue of Anne of Green Gables and my short story, “The New Girl,” was accepted. I didn’t know it would be out so soon, but it released yesterday. The issue features poetry, flash fiction, and art inspired by the novel. My story is about a young man name Gilbert Blythe who cannot get the new girl to even look at him, but he has a plan to get her attention. You can buy it on the Zoetic NonBinary website. It is available as a PDF, epub and Kindle. AND….THIS WEEKEND…TOMORROW, SUNDAY: I’m going to be on CBC Radio! It is the first time being interview in a studio. Eli Glasner is guest hosting “Fresh Air,” a show that features lifestyle and arts events in Ontario on the weekends from 6AM to 9AM, and he asked me if I would come on and talk about MAUD, and Anne of Green Gables and all things Montgomery. And because I need to be brave, I said, “Yes!” I’ve been told it will air during the later half of the show on CBC Radio One 99.1FM. But you know that the life of a writer and teacher means that I keep working and writing…and grading. Keeping my feet firmly planted on the ground. But it is very exciting when things come together in perfect symmetry. It inspires one to keep going during the quiet weeks. This entry was posted in Anne of Green Gables, Blogging, Children's Literature, Inspiration, L.M. Montgomery, Maud, Talented Friends, VCFA and tagged A Psalm for a Lost Girl, anne of green gables, CBC, Cynsations, Cynthia Leitich Smith, Eli Glasner, Fresh Air, Gilbert Blythe, Katie Bayerl, l.m. montgomery, Maud, Quill & Quire, Quill and Quire, Vermont College of Fine Arts, YA Lit, Zoetic NonBinary Review. Bookmark the permalink. Have a great time at the interview!